1. THAT, when the Palestine Problem was created by Britain in 1917, more than 90% of the population of Palestine were Arabs?... And that there were at that time no more than 56,000 Jews in Palestine? 2. THAT, more than half of the Jews living in Palestine at that time were recent immigrants, who had come to Palestine in the preceding decades in order to escape persecution in Europe?... And that less than 5% of the population of Palestine were native Palestinian Jews? 3. THAT, the Arabs of Palestine at that time owned 97.5% of the land, while Jews (native Palestinians and recent immigrants together) owned only 2.5% of the land? 4. THAT, during the thirty years of British occupation and rule, the Zionists were able to purchase only 3.5% of the land of Palestine, in spite of the encouragement of the British Government?... And that much of this land was transferred to Zionist bodies by the British Government directly, and was not sold by Arab owners? 5. 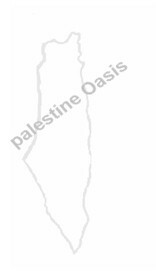 THAT, therefore, when British passed the Palestine Problem to the United Nations in 1947, Zionists owned no more than 6% of the total land area of Palestine? 6. THAT, notwithstanding these facts, the General Assembly of the United Nations recommended that a "Jewish State" be established in Palestine?... And that the Assembly granted that proposed "State" about 54% of the total area of the country? 7. THAT, Israel immediately occupied (and still occupies) 80.48% of the total land area of Palestine? 8. THAT, this territorial expansion took place, for the most part, before 15 May 1948: i.e., before the formal end of the British forces from Palestine, before the entry of Arab armies to protect Palestinian Arabs, and before the the Arab-Israeli war? 9. THAT, the 1947 recommendation of the General Assembly in favour of the creation of a "Jewish State" was outside the competence of the Assembly under the Charter of the United Nations? 10. THAT, all attempts by the Arab States and other Asian countries to have the Assembly submit the question of "constitutionality" of its recommendation to the International Court of Justice for an "advisory opinion" by the Court were rejected or ignored by the Assembly? 11. THAT, when the Assembly began to experience "second thoughts" over the matter and convened for its second special session in 1948, it failed to reaffirm the 1947 recommendation for the partition of Palestine-thus destroying whatever dubious legality that recommendation for the establishment of a "Jewish State" had had? 12. THAT, that original 1947 recommendation to create a "Jewish State" in Palestine was approved, at the first vote, only by European, American and Australian States...for every Asian State, and every African State (with the exception of the Union of South Africa) voted against it?...And that, when the vote was cast in plenary session on 29 November 1947, urgent American pressures (which a member of the Truman cabinet described as "bordering onto scandal") had succeeded in prevailing only upon one African country (Liberia), both of which had special vulnerability to American pressures, to abandon their declared opposition?...And that, in other words, the "Jewish State" was planted at the point-of-intersection of Asia and Africa without the free approval of any Middle Eastern, Asian or African country except that Union of South Africa, itself ruled by an alien minority? 13. THAT, Israel remained, ever since its inception, a total stranger in the emerging world of Afro-Asia; and that Israel has been refused admission to any inter-state conference of Asian, African, Afro-Asian, or Non-Aligned States ever held? 14. THAT, since the General Armistice Agreements were signed in 1949, Israel has maintained an aggressive policy of waging military attacks across the Armistice Demarcation Lines, repeatedly invading the territories of the neighbouring Arab States...And that Israel has been duly rebuked, censured, or condemned for these military attacks by the Security Council of the General Assembly of the United Nations on eleven occasions-five times by the Security Council and six times by the General Assembly? 15. THAT, no other country in the world, whether member of the United Nations or non-member, has been so frequently condemned by the United Nations? 16. THAT, no Arab State has ever been condemned by any organ of the United Nations for military attacks upon Israel (or any other State)? 18. THAT, Israel has additionally imposed a system of apartheid upon the Arabs who stayed in their homeland?...More than 90% of these Arabs live in "security zones;" they alone live under martial law, restricting their freedom to travel from village to village or from town to town; their children are denied equal opportunities for education; and they are denied decent opportunities for work, and the right to receive "equal pay for equal work?" 19. THAT, notwithstanding the foregoing facts, Israel has always been, and still is, widely portrayed in the Western press as the "bastion of democracy" and the "champion of peace" in the Middle East?